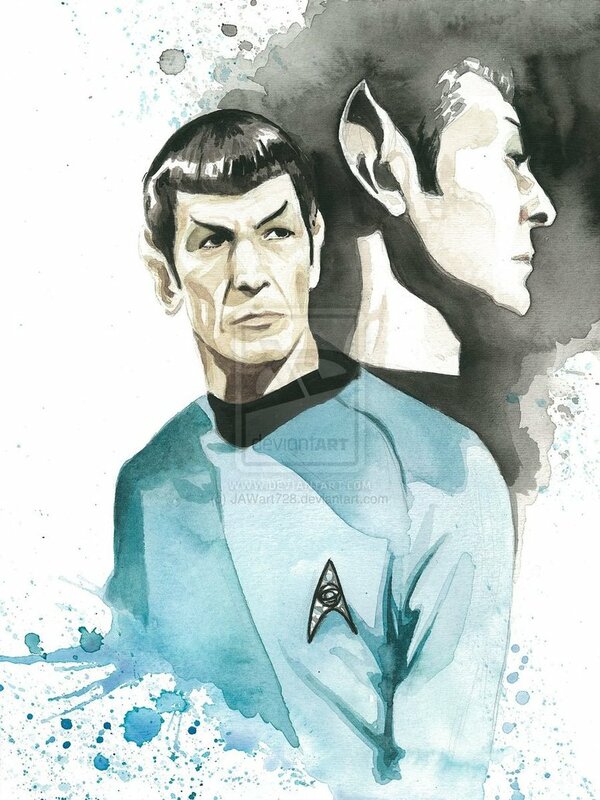 Here’s a beautiful watercolor of Spock by Jonathan A. Reincke on Deviant Art. I love the splatter of paint around the edges. This entry was posted in Fan Art Fridays (FArFri) and tagged Fan Art, Jonathan A. Reincke, Spock, Star Trek, TOS. Bookmark the permalink. Wow. I never heard of this artist, but he sure knows how to capture the essence of his subject.